December 9, 2012 /MarketersMedia/ — Sydney, Australia, 9 December 2012 -- As the holiday season approaches, shoppers looking for unique gift ideas find one-of-a-kind solutions in the exclusive line of fingerprint jewellery and silver keepsakes from The MemorySmith (http://thememorysmith.com.au/). "People are always looking for meaningful ways to make their loved ones feel special," says Tracy Booth, founder and creative director of The MemorySmith, a leading Sydney-based jeweller. "Fingerprints are special because everyone's are different, even newborn babies. When you combine that individuality with quality craftsmanship, you really create a one-of-a-kind keepsake," Booth explains. The MemorySmith makes finding gift inspiration easy with its handcrafted collection of fingerprint jewellery, which includes 99.9-percent pure silver charms, bracelets, necklaces, cufflinks, keyrings and pendants, in a variety of shapes and sizes. Customers truly get a 'hands-on' experience as they capture fingerprints, handprints, footprints and even paw prints of favourite pets, with a custom designed fingerprint impression kit. Once completed, customers send in their impressions and The MemorySmith design team handcrafts each piece of personalised jewellery. Holiday shoppers have the opportunity to give fingerprint jewellery and silver keepsakes to loved ones for Christmas by returning their fingerprint impressions to The MemorySmith on or before Wednesday, 12 December 2012. Gift certificates and custom designed impression kits are also available, so recipients can choose the style and design of jewellery for themselves. 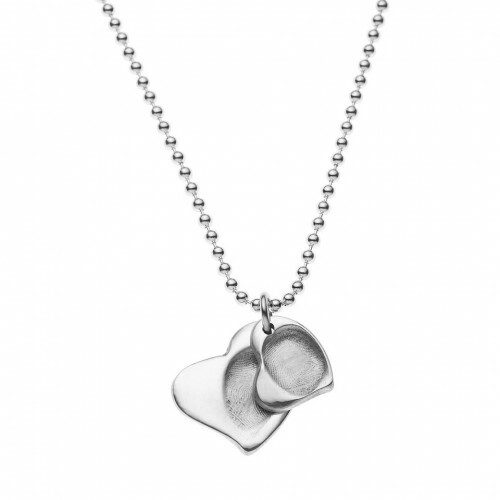 In addition to their exclusive line of fingerprint jewellery, The MemorySmith handcrafts its specialty lines: Hands and Feet in Silver, Paw Prints in Silver, and Doodles, a heartfelt way for parents to capture their Children's Art in Silver. Keepsakes can also be engraved with names, special inscriptions or heartwarming poetry. Reflecting on why fingerprint jewellery is the ultimate keepsake, Booth adds, "The fact that our pieces are handcrafted, where the customer is personally involved in the jewellery making process -- this adds that sentimental value people are looking for."